There are two entrances to Brazil’s Escola Nacional de Circo (ENC). The two entrances reflect the past and the future of Brazilian circus. Arriving through the front door, we are greeted by a modern airy, two-story building resembling a hangar. The broad rounded roof holds extensive opportunities for rigging straight down into the corridor-like main space. 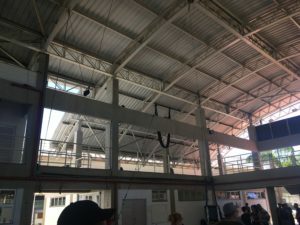 Although no doors close either end of the building, creating a breezy, shaded channel for practicing disciplines, several air-conditioned rooms line the edge of the building so that flexibility, dance, weight training, and academic courses can be held in air-conditioning – essential for the hot afternoons. But there is also an entrance at the back of the school, via the large, dark blue traditional tent abutted to the modern building. The tent accommodates training for large equipment, for instance teeter boards, Korean cradle, tumble track and swinging trapeze. Presentations and performances happen in the tent, though permanent installations under the expansive umbrella indicate that the space is primarily used for training. One of the active aerial installations within the tent symbolizes the historical, aesthetic and international network of Rio’s ENC: an industrial dome of metal remains from a collaboration with Cirque Archaos in 2009, when Archaos taught their show “In Vitro 99” to selected students from the ENC in the spirit of cultivating a contemporary circus arts repertoire. 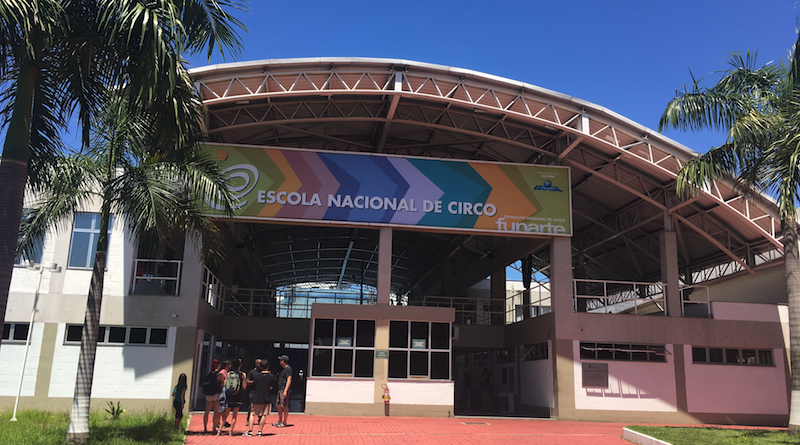 Since 1982 the Escola Nacional de Circo has been part of the development of circus arts in Brazil and internationally through its many European and South American collaborations. The program has evolved many times over the years. Since accreditation by the Ministry of Education to offer a college diploma in circus arts since 2015, the program has remained consistent. The college diploma was developed after the model used at ESAC in Brussels. The school is a department of the National Arts Foundation (Funarte), funded by the Federal Government of Brazil, which also contributed significant resources to the infrastructure of the new building, built in 2013 with the support of the Government of the State of Rio de Janeiro. The ENC accepts up to 60 students for the 2-year diploma. These students are the only students in the school for the full two years, after which a new cohort will be selected for the school. Most of the students are from Brazil, typically around 85%, but they represent all of the different states in Brazil. 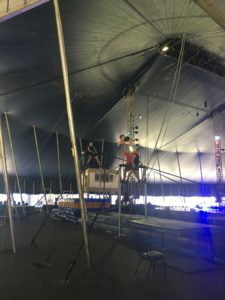 Because preparatory circus training varies significantly between different areas, one of the challenges for the school is to provide training at a variety of different skill levels. By design, the student population is also divided evenly between male and female students, as one of the philosophical foundations of the school is to embrace the creative contributions of the diverse Brazilian population. Students come to the school with many different experiences. For instance, before becoming a student at the school, Raquel Castro was a founding member of a contemporary dance company in Rio. She decided to attend the circus school because she wanted to learn “new things, new corporal material for her body, and because the school gave a financial resource that was important.” During school, she appreciated the opportunity encounter people from differents parts of Brazil and the world. 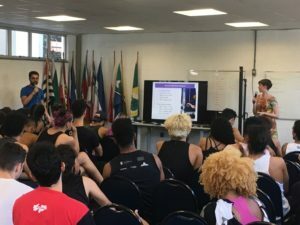 She says there “was always an exchange of circus… and an interesting exchange of cultures.” Since graduating, she has been working as an artist for a Rio circus and as the dance teacher of the circus school from which she graduated. Students are expected to graduate with one or two specialty disciplines. During the first half-year of the program, all students take part in all the different disciplines. Special focus on acrobatics, dance, and physical conditioning help to ensure that students understand the physical requirements for their preferred disciplines. After this training period, students choose their specialty focus. During the rest of the course-work for the duration of their program, students choose their disciplines and the school writes a schedule to accommodate their choices. Of the four primary ‘discipline’ blocks offered most school days, students can choose three disciplines but must take one block of acrobatics. 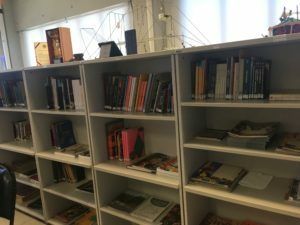 The school offers one entire day per week of creative exploration, which includes the academic course on artistic research. Other academic courses in history and sociology take place on the other week-days in the mid-afternoon, after it becomes too hot to continue training. The second major way that students are supported to have creative autonomy is through their graduating presentations. All of the students from the graduating class are asked to form small troupes and create a show, with the support of an outside director. The graduating class of 2017, for example, created eight separate shows with troupes that varied between four and 12 people. The students considered the kind of creation, presentation, and aesthetic, which helped some to pursue developing their show after graduation as well. Casting agents also attend the final shows; several graduating students from the 2017 class were invited to begin performing with Cirque du Soleil as soon as their shows were completed. 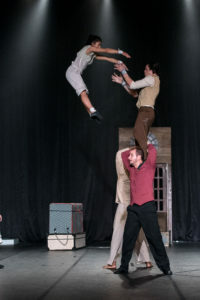 Most of the 18 teachers at the school have a background in professional circus performance, and many are former graduates from the early days of the school itself. 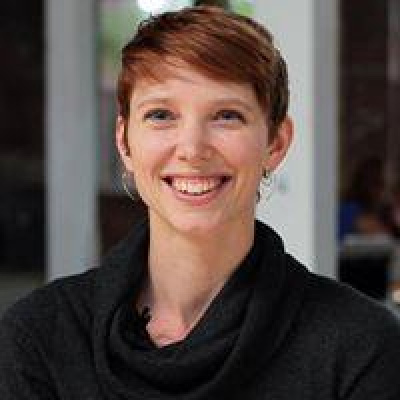 The teaching staff has a strong mix of experience in traditional, contemporary, theatrical, dance, and artistic research. The school has been working towards developing a certificate of circus arts teaching, which would enable teachers to acquire professional accreditation for their teaching knowledge. However, in recognition of the nature of performance experience, teachers are not required to have certification in order to work at the school. Training teachers is another of the collaborative networks engaged in by Rio’s ENC, as teacher exchanges have been established with France and Brussels. The school also hosts artists-in-residence among their staff. 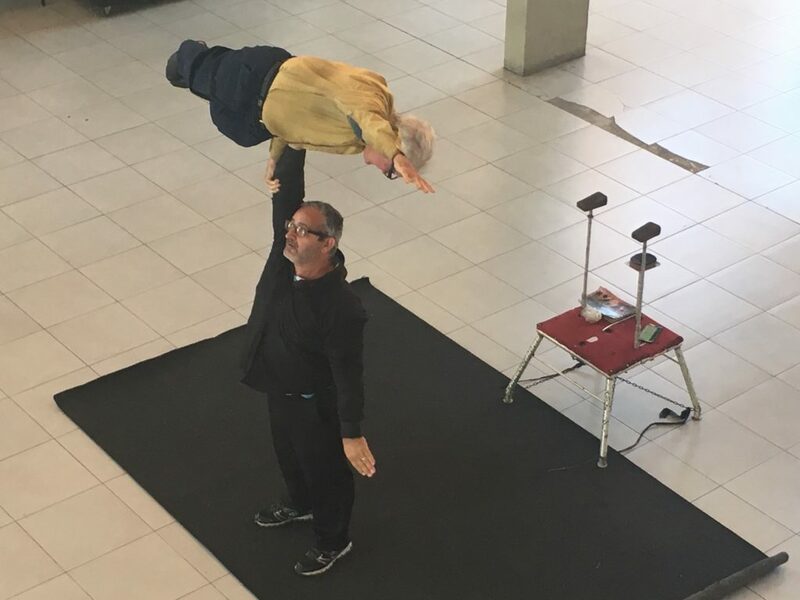 Leon Schlosser continues to perform his traditionally-styled hand-to-hand act with the ENC Teacher Edson Silva despite the fact that he is in his eighties. As an experienced performer, his residency in the school provides students and staff alike with extensive professional and historical connections. Brazil’s Escola Nacional de Circo embodies its commitment to creativity pedagogically, philosophically and architecturally. In a sense, the front entrance can be linked to the as-yet-unknown contemporary circus, looking forward to the future of circus arts by providing multi-disciplinary spaces for multi-disciplinary exploration. But arriving through the tent in the back reminds visitors, students and educators alike that contemporary explorations stand on the shoulders of extensive traditional history, and that the magic of tents will likely remain part of contemporary explorations. Alisan Funk presenting at the “IV Seminário Perspectivas e Desafios para Formação em Artes do Circo” in the air-conditioned classroom of the Escola Nacional de Circo. Most of the students attended the conference, as well as many of the teachers and administrators from the school and FUNARTE. 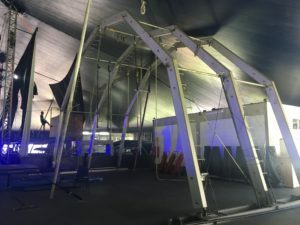 The structure that Cirque Archaos donated to the Escola Nacional de Circo after their visit. It remains in the Big Top Tent and provides a home for training low (non-swinging) aerials. Inside the main training space of the permanent building. The ceiling has a multifunctional grid, and a tissu can be seen rigged on the second floor.